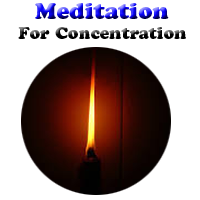 How To Increase Concentration Through Object Meditation ? How to increase concentration, easy way to enhance mind power, how to enhance power within, free tips for meditation. Concentration is the basis of success for everyone, without focus of mind it is not possible to achieve the culmination of success fast. So it is necessary to adopt some practices to gain the concentration. It is always heard from the mediation practitioners that thoughts comes very fast when we close eyes and so it is not possible to meditate. In this regard I want to say that this is the sign of happening something during meditation. It is not possible to stop thoughts at initial level and by closing eyes. So if any one is facing problem in doing DHYAN then it is good to perform OBJECT MEDITATION for some time. 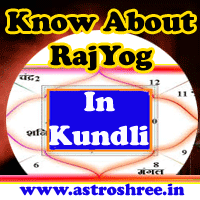 It will definitely help to enter into deep meditation and is good to concentrate, to enhance mind power. In this we regularly look at any object or point with open eyes, it is easier and person is able to getrid of thoughts easily. As an object there are many things available like flame of candle, any image of flower, any dot, any beej mantra. How to perform object meditation practice? 1. It is necessary to have a peaceful area so that no one can disturb you during practice time. 2. switch off your mobile. 3. Sit in a good posture like sukhasan, padmasan etc. 4. Wear loose cloth so as to feel comfortable during sitting. 5. Fix a image or candle before you at some distance. 6. Now take some deep breathe, relax and be ready to enter in a new energy zone. 7. Now start looking at the center of flame or image as long as you can and then close your eyes and feel the energy within. 8. Do this regularly and gradually you can feel changes in your concentration. 9. Don't use alcohal or any drugs during practice for best results. In yoga this practice is also called TRATAK process. Note: If you are practising this meditation then don't forget to sprinkle cold water in regular intervals in eyes, wash eyes with cold water, also do use gulabjal regularly for healthy eyes. If you don't have much time to practice object meditation then you can also use the below meditation images which will increase your concentration within minute. Just click on any image and look at it for a minute, by doing this regularly you can feel the changes. You can use your spare time to enhance your memory/brain/will power. Use object meditation to enhance your memory power, brain power. एकाग्रता के लिए वास्तु ध्यान कैसे करे ?